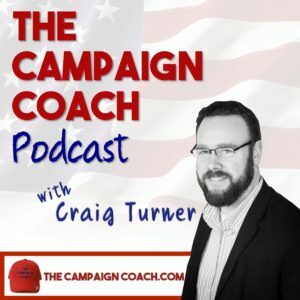 The Campaign Coach (thecampaigncoach.com) is a comprehensive political consulting program for local candidates created by Craig Turner. The Campaign Coach came out of nearly two decades of working with and for local candidates, many of whom were running for office for the first time. Each and every candidate had the same questions: about fundraising, canvassing, recruiting volunteers, effective direct mail pieces. The problem is, though, that local candidates – unlike those running for higher office – aren’t flush with cash and don’t have throngs of volunteers pitching in to help. 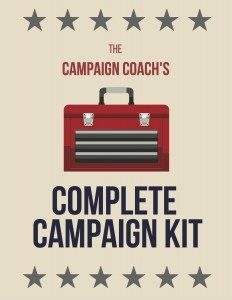 As a result, the candidates who need the help the most can’t afford it, as campaign management political consulting can run anywhere from $3K and up for an entire campaign. Do you know what questions all candidates should ask before running for office? Do you know who you should ask? Do you know what the answers should be? 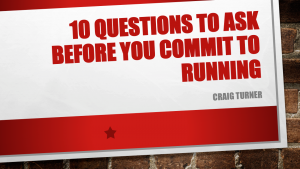 The questions and answers are in Craig’s webinar, 10 Questions to ask before you commit to running. 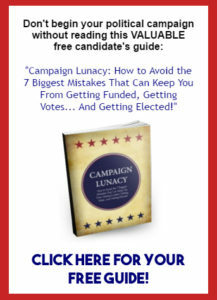 Wouldn’t it be great if there was a “how-to” guide for candidates? Resources that tell you exactly what you need to do, and when & how to do it. 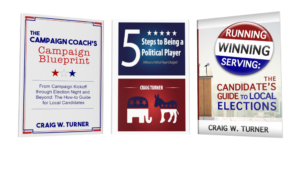 Get the information you need, based on years of campaign experience, in The Campaign Coach’s Triple Play – three great resources that every first-time candidate needs! 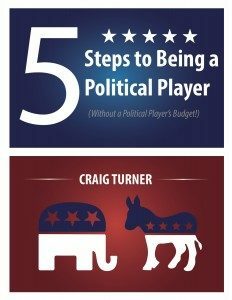 On the show, Craig interviews elected officials, candidates and political experts to share how they get elected, stay elected and make a difference… And how you can too!